MULTAN: Leader of Pakistan Muslim-Nawaz (PML-N) and former federal minister, Sikandar Hayat Bosan on Saturday decided to join the Pakistan Tehreek-e-Insaf (PTI). According to details, Bosan will contest the upcoming general elections from NA 154 on a PTI ticket. 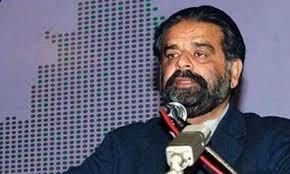 On Friday, former governor Punjab and disgruntled leader of PML-N, Sardar Zulfiqar Khosa had joined PTI.